As far as the holiday is concerned, it originally came about as a way for Italian Americans to celebrate their heritage during a time when they were still being discriminated against in the U.S. in the late 19th century. However, as Italian Americans began to blend into the general white population in the U.S., the holiday became a more national event, and the focus shifted. “The irony is that this holiday that started out as a celebration of a significant ethnic heritage against some kind of discrimination has become something that another ethnic group finds oppressive to them,” Braun said. Italian-American activists say they’re forming a political-action committee to oppose local politicians who supported designating Columbus Day as Indigenous Peoples’ Day. By Daniel BeekmanSome Italian-American activists in Seattle say they’re forming a political-action committee to strike back at members of the City Council who voted unanimously Monday to recognize an Indigenous Peoples’ Day on the same date as Columbus Day. They say the council members disrespected Seattle’s 25,000 Italian-American residents when they picked Columbus Day rather than another date. Some Native-American activists, backed by the Seattle Human Rights Commission and more than 30 other organizations, had asked for an Indigenous Peoples’ Day on that date to recall the harm inflicted on their ancestors by Europeans such as Christopher Columbus. By Zach KayserThe idea is spreading beyond Minnesota, too: on Oct. 6, city leaders in Seattle also voted to change the holiday. However, the move drew criticism from Seattle's Italian-American community, news agency Reuters reported. "Italians are intensely offended," Seattle resident Lisa Marchese told the City Council. "For decades, Italian-Americans celebrated not the man, but the symbol of Columbus Day. That symbol means we honor the legacy of our ancestors who immigrated to Seattle, overcame poverty, a language barrier, and above all, discrimination." 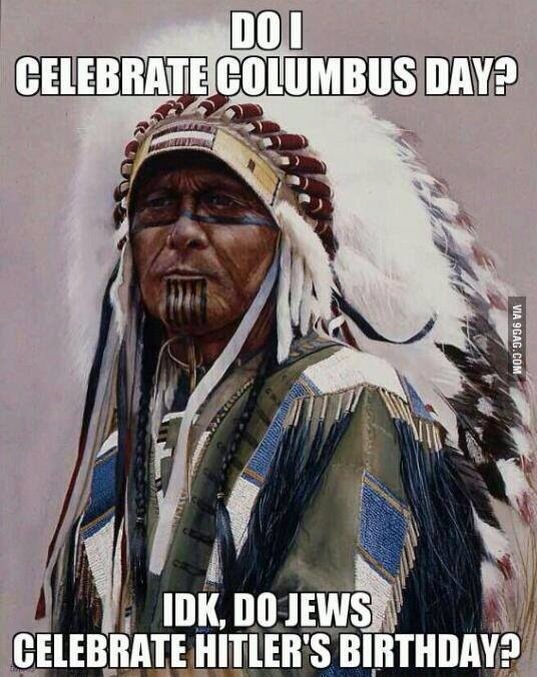 However, the argument for changing the name centers around the link between the holiday and Columbus' legacy. Honoring him as the man who "discovered" America is perceived as paying short shrift to the millions of American Indians who lived here for generations before his arrival. Symbolism aside, there's also a more literal aspect: the acts of aggression on the part of Columbus' expeditions. Nowhere was it suggested in the process of making Columbus Day a federal holiday that it was in honor of Italian heritage. This does not mean that this holiday is not of great significance to people of Italian descent. It is simply not a reality that changing the name is meant to dishonor people of Italian descent. To frame the long overdue decision to recognize Native people as being disrespectful of Italian people is part of ignoring the reality of the grief so many Native people still deal with on a daily basis due to the loss of land, language, children, culture, and life that began with the landing of Columbus. These are not realities that should be celebrated. A fact that appears to be lost in this discussion is what the immigration of people of Italian descent and other Europeans meant for Native people of the Americas. For every person who immigrated, another Indigenous person was displaced. The pain of this displacement is almost impossible to express. In effect, when politicians and others tell Native people to go home, it would be to the backyards of such people. You don't have to dig far to see what Italian Americans are really celebrating. It's the same thing other Americans celebrate: their own "greatness." Mascot for violent European colonialism has been celebrated for years. These major U.S. cities are saying "no more"
By J.P. LawrenceSome Italian-Americans and others object to the name change, deeming it political correctness. If Columbus Day needs a name change, they say, so does the District of Columbia; Columbus, Ohio; and Columbia University. Dr. Joseph V. Scelsa, founder and president of the Italian American Museum in New York City’s Little Italy, said Columbus represents the courage shown by immigrants, such as his ancestors, when they came to America. “I believe it is a travesty of justice to dishonor this courageous man who gave so much for this country, and I totally disagree with it,” Scelsa said. “There are many other ways to celebrate Native Americans, and we should, but not at the expense of Columbus.”Comment: So apparently it is all about the man and his individual accomplishments after all. The benefits of "Christian civilization" outweigh any disadvantages? Many American Indians and African Americans would disagree. And now we're at the crux of the conflict. Italian Americans and other white Americans think they're the center of the universe. They think it's more important to celebrate and honor them than it is to acknowledge the death and destruction of Native cultures. The message is that white peoples' feelings are more important than Native peoples' lives. It's more than understandable why Natives and their liberal allies don't accept this message. Because it's immoral and un-Christian to celebrate conquest. Killing and enslaving people isn't "civilization," it's barbarism. Mussolini's death toll was 300,000. Columbus's toll was similar. Let's replace Columbus Day with Mussolini Day to honor Italians' heritage. For more on Columbus, see King Touts "Values Columbus Brought" and Columbus Day Celebrates White Superiority. Below: A present-day reminder of what Columbus means to most Americans.